**$600 price drop** originally priced at $3100 for this combo. Now rock is included!! 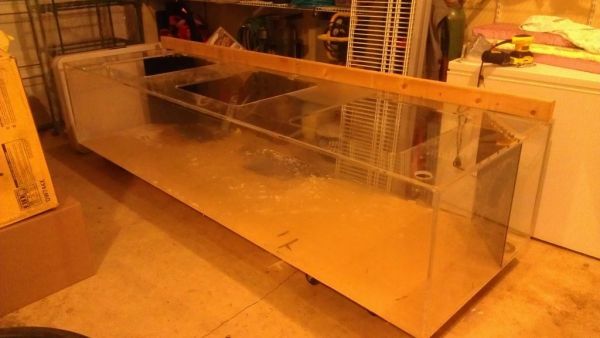 Very nice 10’x3’x2′ 450 gallon acrylic aquarium all cleaned up and ready to fill. Tank is in my garage ready for pick up. Included about 150-200 lbs of reef rock and a 100g Rubermaid trough. Willing to trade for a nice street bike preferably 2005 or newer with low miles and has never been laid down. Give me a call or shoot me a text at 503-383-1052.